Pie baking is serious business, and you don’t want to get in the way of a young wife determined to climb up the church-pie-bake-off hierarchy to a first place win. Such was the case for newly-wed Shirley Tedesco when she found the outlet to express her skill with cooking. But Shirley’s baked wonders get up Claudia Romero’s nose. Claudia, who frequently holds the position of president of the Ladies Auxiliary, has held the coveted first place position for years. In Shirley, the woman has met her match. The following recipe is just one of Shirley’s pies featured in my novel, The Tedescos. 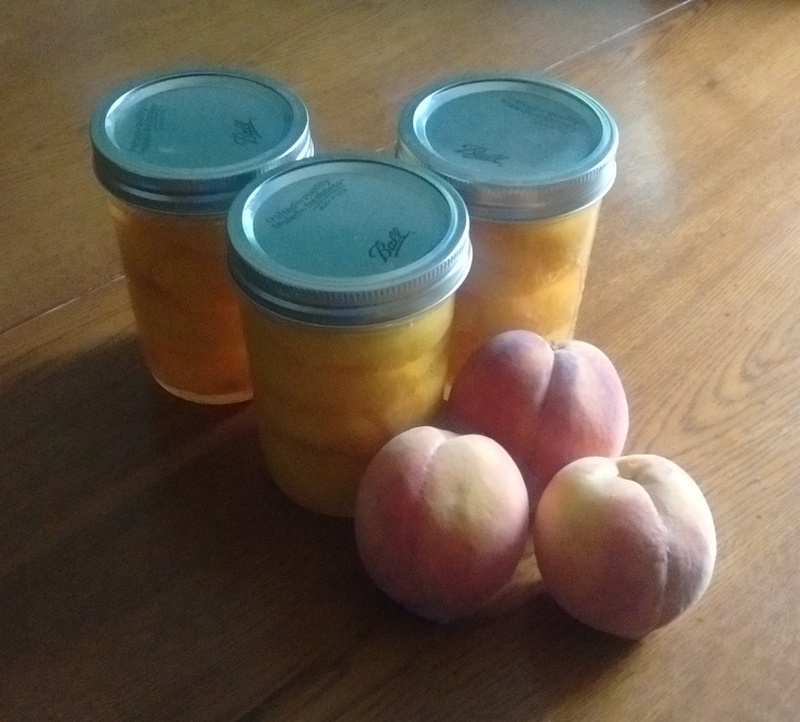 I’ve fallen in love with Georgia peaches, so if you can get them in your area, I strongly recommended using them. 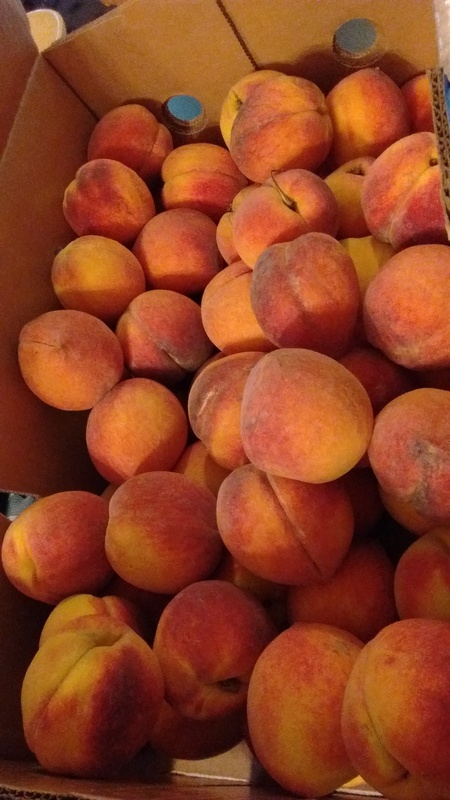 I’ve been most fortunate to purchase these luscious, little jewels from The Peach Truck once or twice a year. The addition of blueberries to this pie not only makes it taste divine, but the blended color of juices is beautiful to behold! In a large, metal mixing bowl that has been chilled, combine the flour, salt, and sugar. Add the chilled butter. Cut the butter in with a pastry blender, two knives, or your hands. If you use your hands, take care to work quickly so as not to warm the butter. The mixture should look coarse with pea-sized pieces of flour and butter. Add the water a tablespoon at a time, mixing it in carefully until you can press the dough together and form a neat ball. Remove the dough ball from the bowl and flatten it into a disk on a lightly floured surface. Wrap the dough in plastic wrap and chill for at least fifteen minutes. Preheat your oven to 375°. Remove the dough from the plastic wrap and cut it into two pieces approximately one-third and two-thirds. Rewrap the one-third piece for the lattice top and return to the refrigerator. Role the larger piece into a circle big enough to fit across the bottom and up the sides of a ten-inch cast iron skillet. Cut a piece of parchment to fit the diameter of the skillet as well as up the sides (crumpling the parchment in your hands makes it more pliable for use). Place baking weights in the skillet. Bake for ten to fifteen minutes or until the crust is lightly golden. Set aside to cool. Roll out the remaining dough to approximately ⅛-inch thick and cut into ½-wide pieces as long as the skillet. For the truly talented: Lay eight strips across the pie. Fold back every other strip, and lay a horizontal strip across the center of the pie. Unfold the folded strips, and then fold back the remaining strips. Lay another horizontal strip across the pie. Repeat folding and unfolding the strips to weave a lattice pattern. Repeat on the remaining side. For people like me: Lay your strips in one direction taking care to leave space between them. Lay the remaining strips in the other direction also leaving space between them. Voilà! Lattice on a pie so delicious that no one notices it’s not woven. Sprinkle the top with sugar. Bake the pie for thirty minutes or until the crust is golden and the juices are bubbling. You may need a cookie sheet beneath the pie in the oven to catch drips. Allow the pie to stand for at least ten minutes, and then serve it warm with vanilla ice cream or fresh whipped cream. Side Note: Baking weights can be purchased at most cooking stores, but I find a bag of dry beans works just as well. 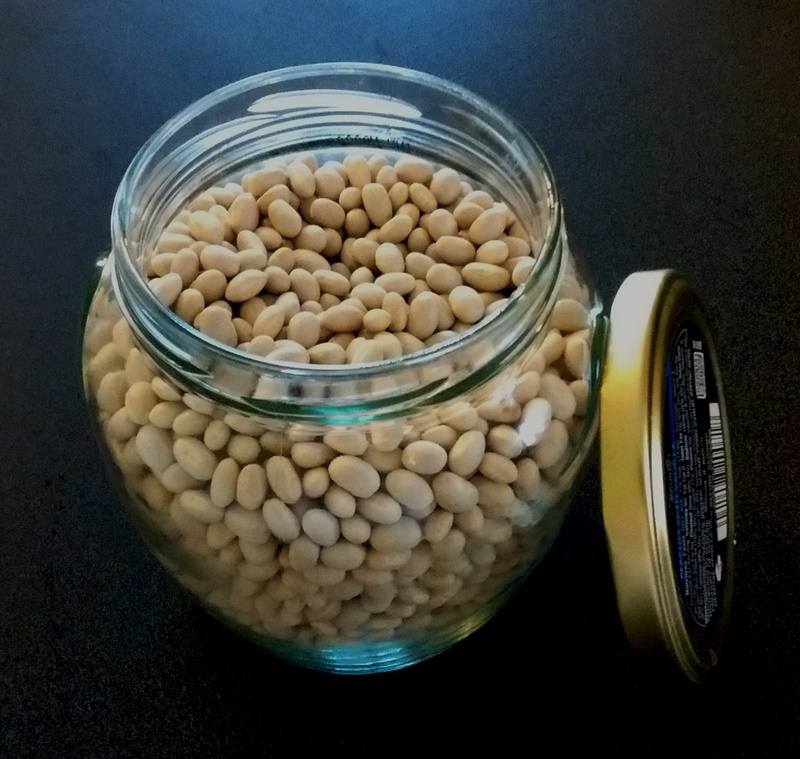 They don’t impart flavor to your baked goods, and once they’ve cooled, you can store them in a sealed jar for future use. Ah, the humble peach: sweet and juicy and the pride of Georgia. This year while perusing Facebook, I came across a post announcing the arrival of The Peach Truck. I would have passed right by it because there are stands all over our area selling peaches except that this truck was stopping at two well-known garden centers in the area. For some reason, that seemed incredibly important to me. If a truck loaded with peaches would announce its arrival at places with which I was familiar, I should probably check it out. Besides, I love peaches and the price per pound was phenomenal. 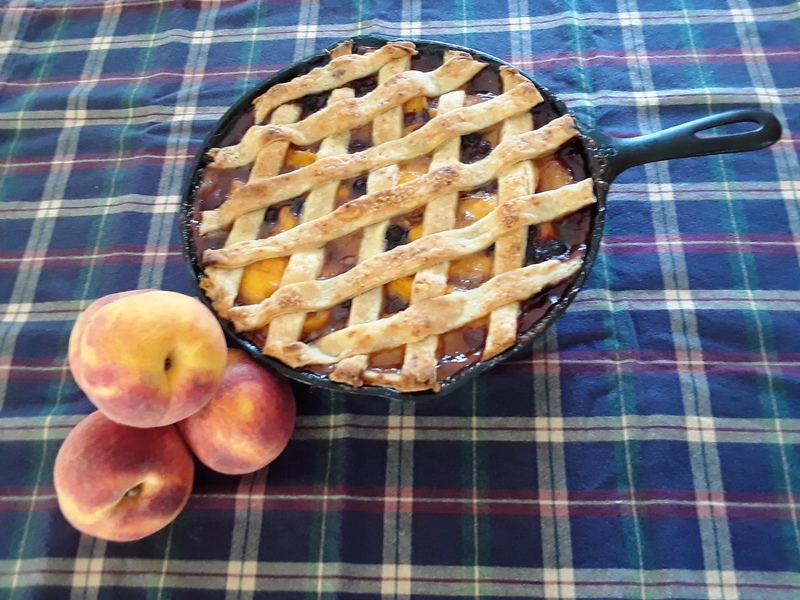 So, twenty-five pounds of peaches later, I had to come up with a way to use them. I must admit, the reason for my purchase had to do with a scene from my novel, The Secrets of Dr. John Welles, during which the midwife, Collie Mercer, served a humongous celebratory breakfast in honor of my protagonist’s birth. For whatever reason, I chose to have her serve canned peaches. I was probably thinking they would be extra special for breakfast and somewhat dessert like. Of course, in keeping with my posts for Edible Fiction, I have been preparing the foods from my novel and sharing the recipes on my blog. I have never in my life canned peaches. In fact, I’ve never canned anything. Thankfully, my mother canned when I was a child. I remember all-day canning sessions of tomatoes, pickles, corn relish, and applesauce. She used a pressure canner, but my darling husband, William, supplied me with a water bath canner which was much less intimidating to a novice such as me. My best friend, Emily, provided all the canning jars I would need. I picked up new lids and rings, and I was ready to can. 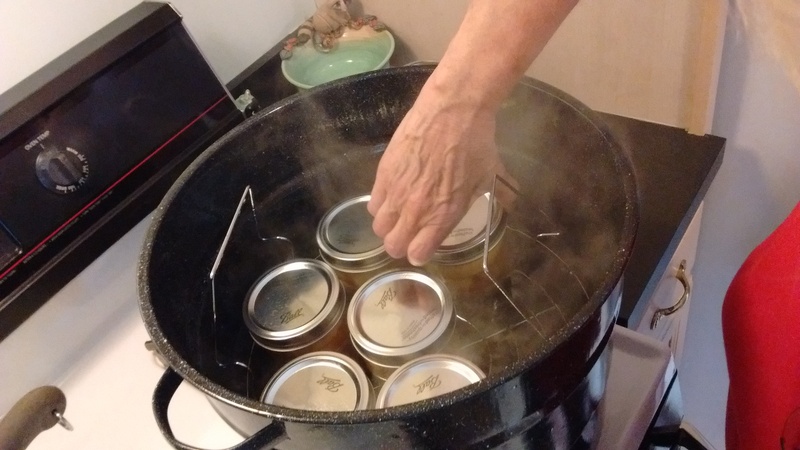 The best part is that even if you don’t have a brilliant, experienced mother to fall back on, The National Center for Home Food Preservation offers detailed instructions for canning, drying, freezing, smoking, curing, and pickling foods. One simply cannot go wrong by accessing the wealth of knowledge provided here. Useful charts and step by step processes will guide you through preparation, various methods, quantities, etc. I direct you to this site in lieu of a recipe because you may choose to make larger batches than I did. One thing I will warn you though: canning is addictive. I’m already making plans for next year’s batch of peaches as well as other fruits and veg to can throughout the year.